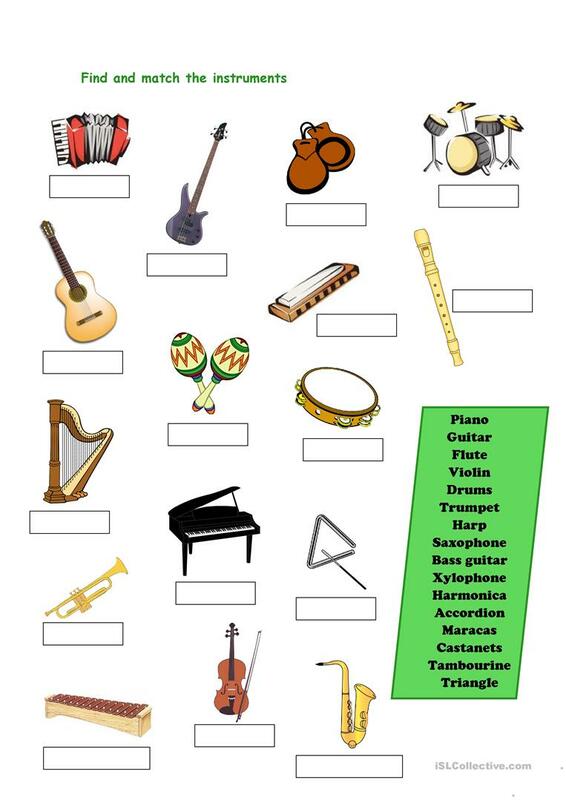 In this worksheet students should find the instruments in the green box and write them in the empty boxes. You can use it like a spelling exercise or check it with your pupils. The present downloadable worksheet was created for elementary school students at Beginner (pre-A1) and Elementary (A1) level. It is excellent for enhancing your students' Spelling, Reading and Writing skills. It is focused on the vocabulary topic of Music.